Friendship Bible Study meets the 3rd Monday of the month at 7 pm at church. Contact Barb Marsh for more information at 763-262-0500. 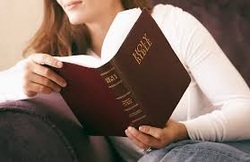 Esther Bible Study meets the 2nd Thursday of the month at 7:30 pm in their homes. Contact Dee Holt for more information at 763-262-0052. Priscilla Bible Study meets the 3rd Wednesday of the month at 9:00 am at church. Contact Carol Michaletz for more information at 320-743-5199.